At this years Citrix Summit, Citrix announced that the next release of XenServer 7.1 will be made generally available later in Q1. This latest XenServer 7.1 release introduces new industry-unique features, and with tighter Citrix XenApp/XenDesktop alignment, it sets itself apart from every other hypervisor platform. From simpler deployment options to the easiest and most flexible hypervisor management and support capabilities, XenServer 7.1 represents the best hypervisor choice for XenApp and XenDesktop deployments. XenServer gets 10 years support! For the first time, XenServer is a long-term support release (LTSR), and is the only hypervisor to offer the option of a full 10 years of support, with its product lifecycle dates fully aligned with XenApp/XenDeskop. A full Citrix stack simplifies customer infrastructure maintenance with a single end-of-maintenance, end-of-life date. Provisioning Services’ image management and deployment is hugely popular with enterprises for application and desktop virtualization, and in XenServer 7.1 it has been more deeply integrated than ever before. The introduction of PVS-Accelerator, a unique host-level cache, results in up to 98% lower network bandwidth requirements per XenServer host, and with a huge improvement in VM boot up times. Existing PVS customers will be pleased to hear that this integration not only comes at no additional cost, but it has the added benefit of simplifying the PVS architecture, and potentially reducing the number of PVS servers required to simultaneously boot the same number of desktops. Minimizing infrastructure outages is always key for major cloud and large enterprise customers managing infrastructure at scale, however there are often planned outages that require the need to shut down VMs, or migrate them to other infrastructure hosts. XenServer 7.1 introduces an industry-first live patching capability, enabling IT admins to update their XenServer hypervisors without the need for any VM migrations or shutdowns. This unique capability radically reduces the impact of infrastructure maintenance. 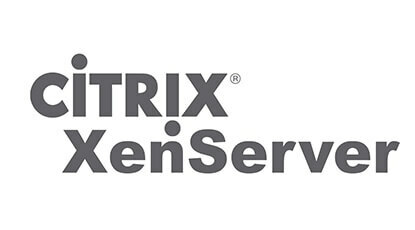 Citrix and Nutanix recently announced XenServer support for Nutanix’s Enterprise Cloud HCI appliances, the use of which entitles Nutanix customers free access to XenServer’s advanced features for Citrix XenApp or XenDesktop use cases. Features include PVS integration, Direct Inspect security APIs, live patching and NVIDIA GRID vGPU for enhanced graphics to name a few.